Kaivalya Homes is a trusted company in real estate sector from long time, we are dealing in Residential and commercial properties for sale and rent. Working with all trusted builders and developers. we are successfully run this organisation with trust of our satisfied customers. 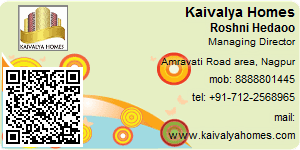 Welcome to the Kaivalyahomes! Prime location. Upcoming metro station of Nagpur is only 200 m away. Markets, school and hospitals are nearby. Kalmeshwar is a peaceful area. Many banks and ATM Machines are located in kalmeshwar to serve the best banking services to the people. Roads are good. Mall and many more. Pratap nagar is a well developed area of Nagpur, many malls and stores like haldirams are located there, daily needs are easily available. Nearest to every corner of Nagpur. Shatabdi square to beltarodi road is a good location to live market area is very nearest Haldiram and the mall Big Bazaar is very near only within 5 minutes distance. daily needs is also nearby and this area situated only two kilometres from Chhatrapati square very near to from airport. Amravati Road is a fast growing road. Each and every daily need are available here. Many top most schools like Sandipani, CDS, Center Point, Carmel Academy, Jindal Vidya Mandir are located here so it saves the transportation timing of children who are living on amravati road and Dabha Area. Rastrasant Tukdoji Maharaj University means Nagpur University Campus are located on Amravati Road and wadi is only 10 km away from 0 mile. All time day or night transportation facility are available nearby. Dabha is a fast growing area. It is good for residential purpose because Industrial zone are far away from Dabha. 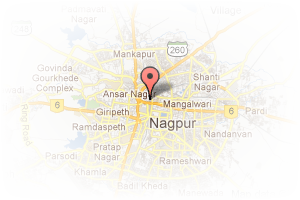 It is only 10 Km away from Nagpur zero mile as well as Railway station. Kalmeshwar is a peaceful place to live, Atmosphere is always good. It is very nearest to the Nagpur, All type of schools and colleges are located near by kalmeshwar like Jain International, Bhavans, Carmel Academy, NIT college of Engineering etc. it is like a education hub. Amravati Road is fast developing road. This road is a new future Express Highway. Lush green open space surrounding with peaceful atmosphere. Address: Kachimet, Amravati Road, Nagpur, Maharashtra, India. This Broker Profile page for "Kaivalya Homes" has been created by PropertyWala.com. "Kaivalya Homes" is not endorsed by or affiliated with PropertyWala.com. For questions regarding Broker Profiles on PropertyWala.com please contact us.